We stock a natural rectangular 5 gallon plastic heavy duty tight head drum with a swing handle. This drum has both an 28mm vent cap (included) and a 70mm opening which is 8TPI (8 threads per inch). 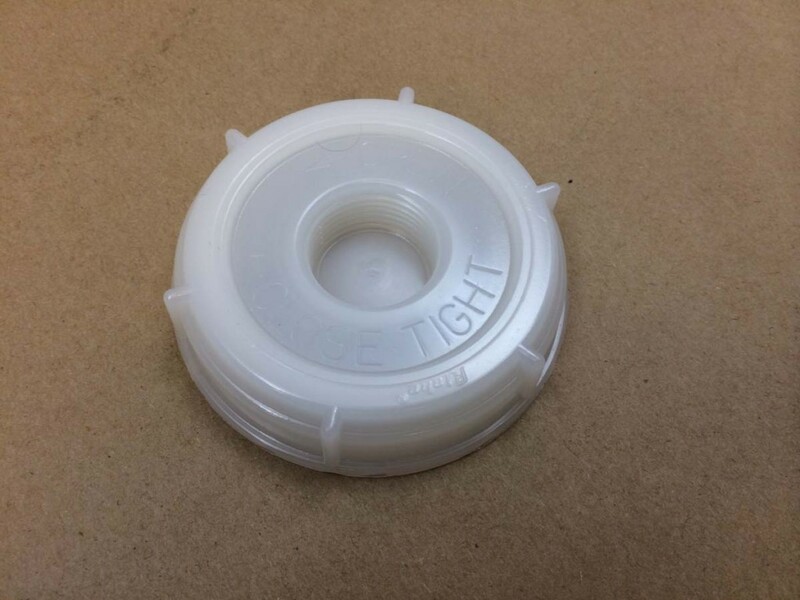 The caps for the 70mm opening are sold separately. 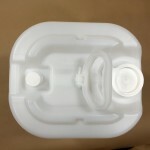 The drum comes with a dust cap over the opening to keep the container free from dirt. We stock two caps (sold separately) which fit this drum. 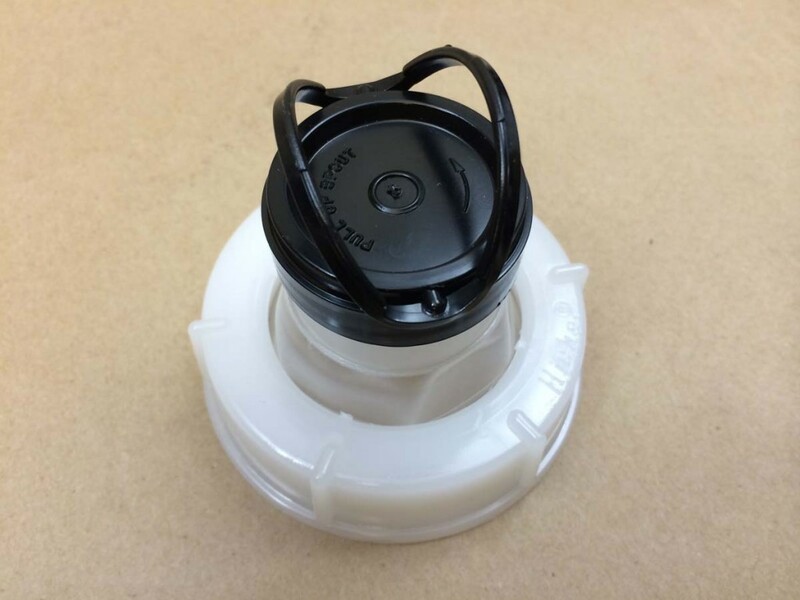 One cap is a 70mm Rieke screw cap with a 3/4″ center reducer. 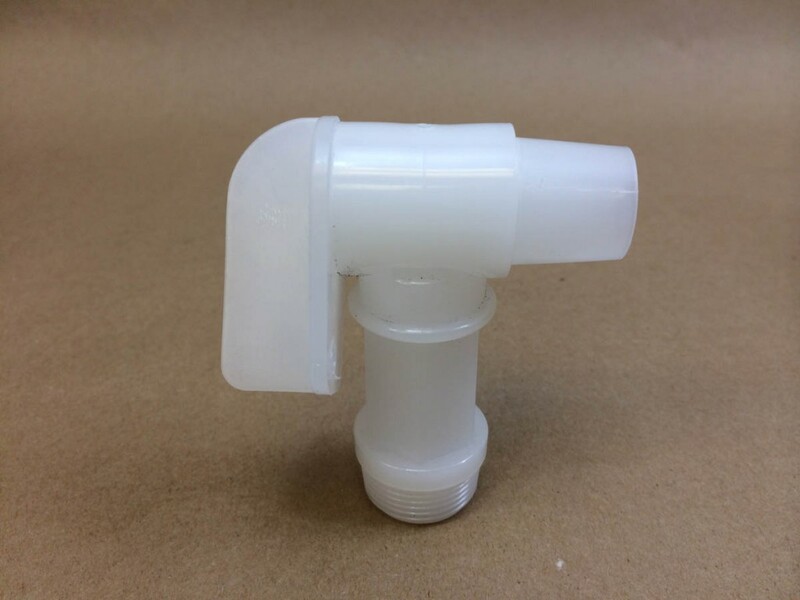 The center reducer can be removed and our 3/4″ Florite faucet can then be threaded into the cap. The other cap choice is our Rieke 70mm spouted cap. Both caps and the 3/4″ faucet are listed below. The drum has a UN designation of UN3H1/Y1.8/100. As always, it can be used for non-hazardous products also, such as with janitorial supplies. 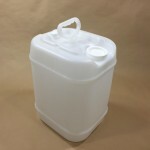 Rectangular drums are popular as they maximize storage and shipping space.